I am an amateur in the topic, so I was wondering, can all edible fruits be turned into a fruit wine? Why have grapes historically become the main fruit for wine making over other fruits? Yes, wine can pretty much be made from all edible fruit, including tomatoes. But the reason we make wine out of grapes is three fold. Sugar, tannins and acids. Sugar. Grapes produce the highest naturally occurring amount of sugar of any fruit. Almost no other fruit comes close. Grapes have the ability to make wines that are anywhere from 10-18% alcohol and even higher in the case of late harvest grapes that have too much sugar to finish alcohol production. Acid. Grapes have a very high naturally occurring acid levels coming from Tartaric acid. Acids help preserve wine and keep the nasty bugs from eating the sugar. They also make it more drinkable. Wine without any acid is flat and awful. It's like beer without hops. Tannin. Red and white grapes contain tannin in both the skins and seeds. These are a natural antioxidant that help preserve the wine for long term storage. Since grapes have such natural high sugar levels, they also have large colonies of yeast on the skin (aka the bloom) and because of this, grapes are a complete package requiring nothing else to make a high alcohol beverage that can be stored for a very long time without spoiling. No other fruit has the right combination of attributes to do this on it's own. If they can make wine out of durian fruit, then one can make wine out of any fruit. Most people find the taste or flavor of this fruit disgusting. 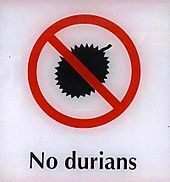 In fact durians are not allowed on the Singapore subway or on many commercial flights at all. Sign informing that Durian fruit is not allowed inside the Singapore subway. Yet durians can be made into wine and what is great about it, is the fact that the durian wine is devoid of its' pungent smell. It's a formidable feat pulled off by a team of student researchers at the National University of Singapore who hope to commercialize their durian wine and see the product on store shelves. Known as both the "King of Fruits" and the world's stinkiest fruit, the durian is likewise perhaps the most polarizing food with people who either love it hate it. After testing out different fermentation methods, the end result is a wine of 6 percent alcohol which is devoid of the fruit's pungent smell. Contrary to the others, I'll say no, at least if you're going to have some reasonable definition of the word "wine". Fruits which will produce no fermentable juices are simply not going to work. If you have to treat the fruits in such a way as to convert starches in order to get sugars to ferment, can you really call the product a "wine", even in a loose sense? You are going to struggle mightily to produce wine from avocados or eggplants, for example... even limes are so low in sugar and high in acidity that even after neutralizing some acid you will have to add a bunch of sugar to have anything to ferment... in this case, you're really making a flavored kilju, rather than a wine. And if you want to get technical about fruits, then "all fruits" is actually a very broad category. Brazil nuts, maple keys, and even carrot seeds are all fully-fledged fruits that are going to be very difficult or impossible to extract a fermentable juice from. Of course, you could probably use a koji to first saccharify your initial base and produce something like a sake, but despite the colloquial misnomer "rice wine", if you're going to call this a wine, then you can do it with nearly anything: why limit yourself to fruits? Then is there really a further difference with kvass or even kumis. Is beer now wine? This is completely discounting the whole classes of toxic fruits that you might be able to produce something technically alcoholic but definitely nondrinkable from, e.g. belladonna and other toxic nightshades, baneberries, etc. Not the answer you're looking for? Browse other questions tagged wine history ingredients or ask your own question.